How Important Are “Techniques” To Sales? The other day, I wrote a piece, What Are The 3 Characteristics That Set Great Sales People Apart? It stimulated quite a reaction as people started suggesting their ideas. I was surprised by the focus of a number of people on the “right techniques.” These comments started to make me wonder about my own belief system and biases. Persuasion techniques like, “the art of repetition,” “the foot in the door,” “the bait and switch,” “low-ball,”that’s not all,” and the lists of techniques for persuading people can go on. Closing techniques like, “the assumptive close,” “the puppy dog close,” “fire sales close,” “thermometer close”, “the ultimatum close.” I actually found a site listing 68 closing techniques! tech-nique [tek-neek] 1. The manner and ability with which an artist, writer, dancer, athlete, or the like employs the technical skills of a particular art or field of endeavor. 2. The body of specialized procedures and methods used in any specific field, esp. in the area of applied science. 3. Method of performance ; way of accomplishing. 4. Technical skill; ability to apply procedures or methods so as to effect a desired result. After reading the definition, I started to think, much of the “advice” I and others I respect offer are “techniques” — or methods — or processes. After all, I’ve written a lot about effective questioning, listening, qualification, developing and communicating value. I present tools (techniques) people can use to make them more effective in connecting with and engaging customers. Likewise, there are a large number of other consultants and bloggers that offer great approaches that create real value for customers, sales professionals and others. So why do I have such a negative reaction to “sales techniques?” I think I my negative reaction to “techniques” is not the techniques themselves (though I saw very little redeeming in the list of 68 closing techniques), but the intent or use of the technique. So often, underlying the use of technique is an intent to manipulate, trick, or deceive. Anytime the person(s) on the receiving side of a sales person using “techniques” in these ways, everything sours. What may have been good suddenly turns distasteful. On the other hand, techniques can be important to gaining insight and understanding about the customer. They can help you engage the customer in a conversation about their problems, dreams and goals. Techniques can be important in communicating complex ideas. They can help people understand, they can serve to simplify. 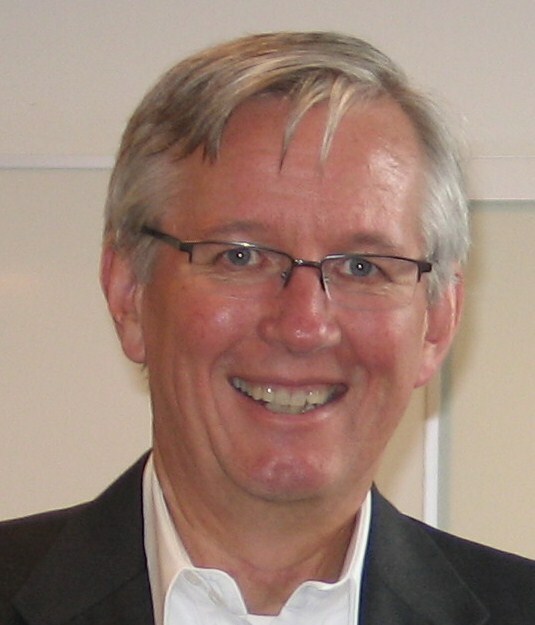 Techniques can be important in helping facilitate the customer’s buying process, in helping present value, in helping manage change. They provide structure for us to work with customers, improving the way we engage them. I suppose any tool, tip, process, methodology, and, yes, technique can be abused. Their use can be manipulative and misleading. Yet we do need techniques. I’ll have to mull this over a little while, I’m still uncomfortable. I’m trying to talk myself into believing that techniques are good. However, I just can’t help it, whenever I hear the term “sales technique,” I immediately think of scenes from movies like Boiler-room. I think of sleazy sales people doing the “bait and switch,” followed by the “boomerang” objection handling technique, capped off by the “puppy dog close.” They trigger the worst examples of sales I can imagine. Am I wrong on these sales techniques? Can any of you offer advice that can make me more comfortable? Thank you very much for your blog and I apreciate the ability to comment. I have wondered about the very same thing. Why the need to trick people into buying something that will help them. In my opinion you only need several things to be a good sales person. 2 You need a product you know will help your customer. You know it is quality and can help them make their business better in some way. 3. You need to be able to understand how you can help solve what keeps them awake a night. If your product helps, be able to communicate so the customer hears and is able to recognize the value. I guess to shorten it, you need Caring, Great Product, Communicate value, stop talking. Everyone that I have ever had the chance to talk with that was purchasing, was smart, knew the tricks better than any sales person and knew they had a problem. Games are for kids and people that only know how to take an order, not sell. Susan, I’m so happy you joined the conversation. You make great points. At it’s core, selling is about connecting with the customer, understanding what they need and creating value by satisfying those needs. We create a lot of “fluff” around it with some of the ways we approach the customer. Keeping it simple and direct can be very effective. I think you have to see the fundamental point here. Sales is like martial arts, it is a skill and it is made up of various “techniques.” Advanced selling skills are not more complicated individual techniques but the ability to combine various simple techniques in effective ways. In martial arts you have different punches, blocks, and kicks. What makes a skilled martial arts master is the ability to execute these various things in combination and without thought. In other words it’s part of the master’s nature. This does not occur without intense practice of each of the simpler elements. 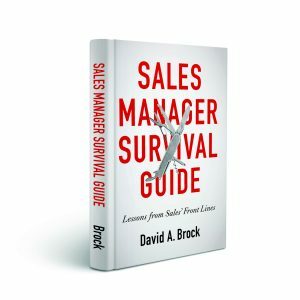 In sales there are questioning techniques, objection handling techniques, and so on. If you truly understand and are competent at each you will have the tools in any situation to move forward. The ethical application of the techniques has nothing to do with there necessity. It only has to do with the motivation and actions of the person executing them. You can corrupt all sales methods and techniques with the simple addition of dishonesty. There is no inherent deception or dishonesty in the sales techniques only in the individual’s use of them. One of the biggest problems with “sales techniques” is that they are NEVER taught with communication skills. Selling is really about communication and not the sales techniques — the techniques simply give one structure. For example in handling an objection one must fist qualify the objection, understand it, answer it, and then verify it is an acceptable answer to the original question. Without both knowledge and understanding of the technique navigation to the desired end, the elimination of the objection is very difficult. But there is nothing sleazy about the technique. Boiler Room wasn’t about sleazy sales techniques, but about selling a deception a false product. There is a big difference between unscrupulous methods and ripping the customer off with a bad product. In fact I would point to Boiler Room as one of the most instructive movies with regard to telephone selling. The lesson about how you sound is key to telephone success. The psychological methods used in the display sale of the whale is also filled with techniques and methods that used properly are very effective — such as taking things away, the use of pauses in presentation for emphasis. You cannot color the techniques with bad intentions. They are two very different things. This is not to say that the business environment may make some of the methods inappropriate or even offensive — you obviously have to be appropriate to the situation. But again this has nothing whatsoever to do with the value or morality of the techniques. An interesting question. But I think we have to get the “sleazy” out of sales, sales is not by nature “sleazy” — it is just “sleazy” gets the attention. Flyn, you make some compelling points, many I agree with and some I struggle with. You are right, it may not be the technique, but how it’s used. Techniques that facilitate our ability to focus, improve our effectiveness, improve the clarity of our communications and improve our ability to connect with our customers are great. The same technique used to deceive, manipulate and exploit the customer become sleazy, distasteful, and representative of the worst in sales. Ultimately, it’s the choice of the sales person in how they leverage the technique. Likewise, I would be naive if I were to discount the psychological and neurolinguistic methods. We use these to better connect with, communicate, and understand our customers. You make a great point in that we don’t teach communication, we don’t teach the underlying principles driving the approaches and techniques. Too often the technique is taught without this context and it is taught with the intent to manipulate and deceive. So it isn’t the technique, but how we teach and execute it. Having said all this, I think there is value in directness—perhaps that is a technique. I think sometimes, we (not just sales people) make things more complicated than they need be because we are afraid to be direct and open in our communication. I’m Ivy from China, have some different opinions.I’m also a sales, thinks sales need to acquire technique. You know, you have to make your customer trust you and think you are familiar about your product,you are professional, so must have some thing to talk with him.But not just technique and specification, you should transfer this complex figure into very simple words and sentence that everyone can understand.that’s success. sales are not engineer,what need to do just change the technique knowledge into simple words, and care about your customer, think for them, solve their problem.so this is the attitude. Ivy, you make some great points, thanks for contributing them. Techniques are important they help us focus our efforts, they help improve the way we communicate and connect. At the same time, they can be used to exploit, manipulate and deceive. As with anything, they can be used well or they can be misused. Ultimately it is the choice of sales people — the great ones will never misuse the technique. I agree, great dialog and it makes you wonder. Are techniques cheesy or required to progress often stalled deals? I think Susan S’s comments are correct and have seen them play out during 15 years in sales. Ex. We just met 2 c-level execs at a large manufacturing customer. We asked the customer for their perspective, priorities, feedback on our products and relationship. They openly shared for 40 minutes and there were a few (not uncomfortable) gaps in the dialog where we did not jump in. We let them think, and continue. The CIO stated something like, “my apologies for taking all the time, we should have heard what YOU had to say today.” I replied, “we came to listen”. The positive results were noticeable (was this a technique, or did we just care about our customer’s perspective and success?) The CIO had to run to another meeting , however the other exec stayed another 45 minutes and shared and committed to even more activities than we had planned to ask for. We have several enterprise wide deals in the pipeline that were triggered from that specific meeting. So Susan is correct, people will buy from people they trust, and if you show up, listen, provide thoughtful input and assistance, they will buy. Conversely, and this is a terrible “organizational technique”, geography wide reshuffling sales reps and territories can easily be a disaster. All big shops seem to do it, and it infuriates customers. Why? it incents reps to use those cheesy techniques because they dont really know the customer, the org, the LOB initiatives etc.. The “short term rep” is at an incredible disadvantage. The lesson here for HQ data wonks? travel in the field with reps (not just sales execs) and listen to how long it has taken them to a gain customer’s trust. The HQ guys might not lurch into that next reorg if they really listen here. And if a rep stays on an account for 5 years? that’s OK! they are probably dining and golfing with key folks. That’s not a technique, it’s called a business relationship and that’s when big deals get done. Jack, thanks for the great examples! Ultimately sales is about establishing trust. Too many techniques focus on creating an illusion of trust–shortcutting the real thing. Customers see through this, so while a sale may have been made, it’s probably the last one from that customer–both for that sales person and the company they represent. Trust needs to be earned by investing in the relationship, caring about the customer and meeting your commitments. This is how the big deals get done, as you so well state. Thanks for joining the conversation, hope to see you here again. Thank you David; this topic very close to my heart, a wonderful post, and excellent dialog. IMHO manipulative tricks lack integrity. Techniques rooted in making the sale are not foundational to long-term relationships. Techniques that help uncover the buyer’s needs and wants for development of legitimate solutions, foster trust. That’s the stuff long-term relationships and business is built upon. Presentation skills are an art form. Painting a realistic image that leaves the prospect salivating is an invaluable talent. Negotiating skills are a necessity. Once the customer is onboard with your offering, there is no reason to give away the farm. At the same time, skinning a client pays only on the frontend, rarely producing future business or referrals. For me a good deal is when both parties are happy. I see sales techniques as the basic tools of selling. We all know the old saying that if the only tool you have is a hammer, then everything looks like a nail. If the only sales tool a person has is a mouth, then everything looks like an ear. A multitude of sales techniques leads to flexibility when selling. Brian, thanks for joining the discussion. 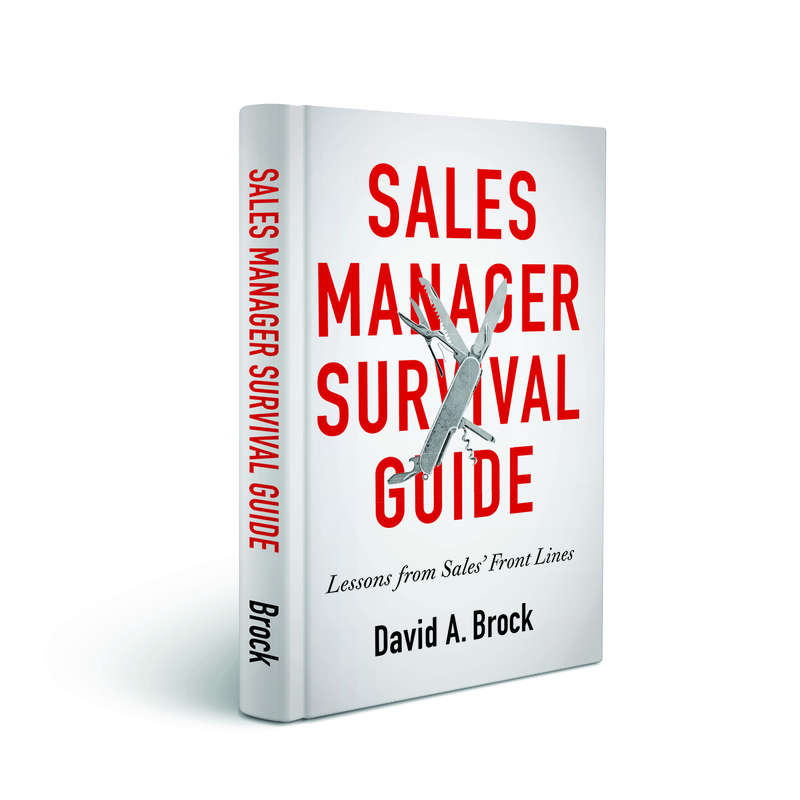 Solid processes and techniques are the foundation to sales effectiveness. Interesting conversation. Ironically, in my 25 years in sales, I would say that most of the sleazy salespeople I have ever met lack technique. They “wing it” and do/say anything to make the sale. The true professionals I admire have evaluated how they make their presentations so they are clear and and help the buyer truly understand the product and process. I agree relationships are important but they can be used to deceive too. The pro who takes the time to really know their product and the decision process (and how to move it along) can build the relationship through the trust knowledge & confidence inspires. This is rarely the same person to takes the quick fix, low-road sales route. The middle ground, the agents who have integrity but haven’t developed techniques, may be missing opportunities to help people make the right decision. If you believe in what you do, “preparation” may be a good substitute for the word “techniques”. Prepare to help your clients make the right decision to work with you – otherwise they may end up with the sleaze – and then no one good wins. Michelle, thanks for your comments, you make great points. I like your idea around “preparation.” In the end, I think techniques or preparation are critical to professional sales. They help us connect with the customer more effectively. Like anything, techniques can be misused or abused–this is what we see in the sleaze. Thanks for taking time to comment, I hope you become a regular contributor. Skills such as listening, building rapport, questioning for understanding, the skill of being able to match benefits to needs, presentation skills. My belief (and experience) demonstrates the fact that the above skills applied in an ethical manner will alleviate the need to answer objections and close sales. Colly, thanks for joining the discussion. What I am really learning is that, like everything, “techniques” can be well used or abused. Many of the techniques I find quite helpful can be used in manipulative and deceitful ways. At the root, much of this is really based on the intent of the sales person. Thanks for contributing, hope to see you as a regular, you have great perspectives.